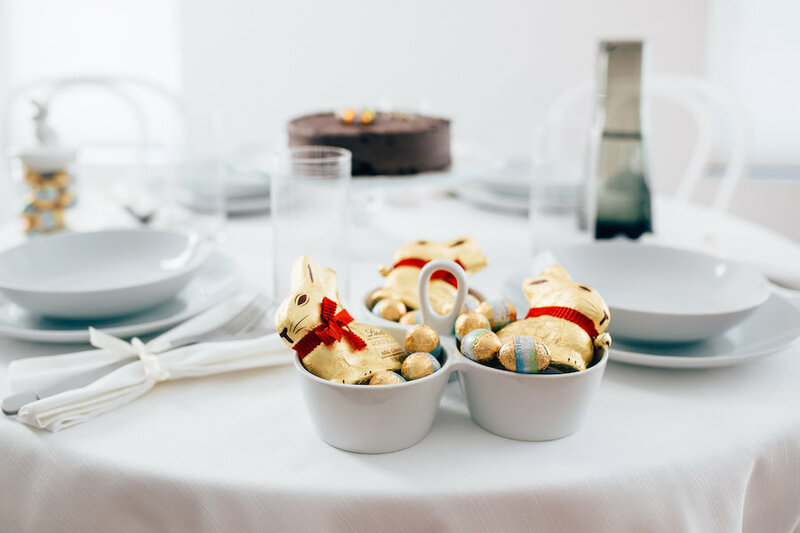 Easter brunch is a tradition for many and with a little planning and effort, you can take your Easter brunch from fine to fab! 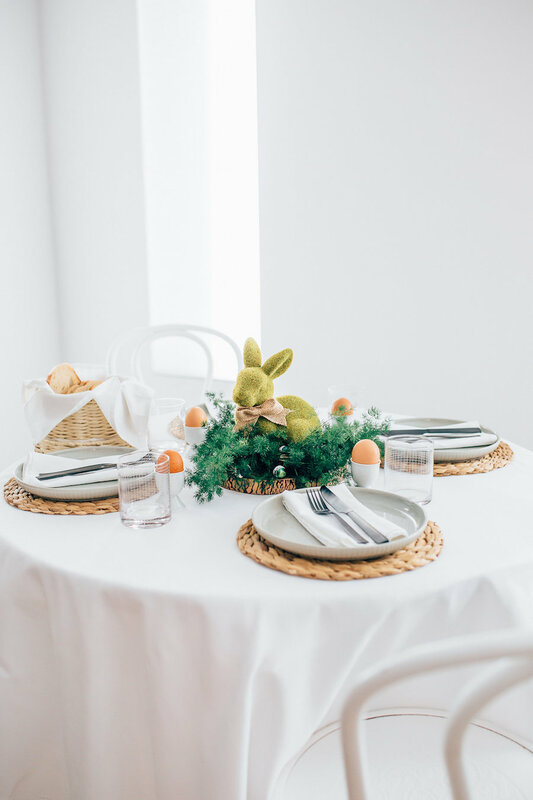 Here are three simple and stylish Easter table settings I created using products from my local Big W store. On special occasions I like to have a bit of fun and break away from tradition. 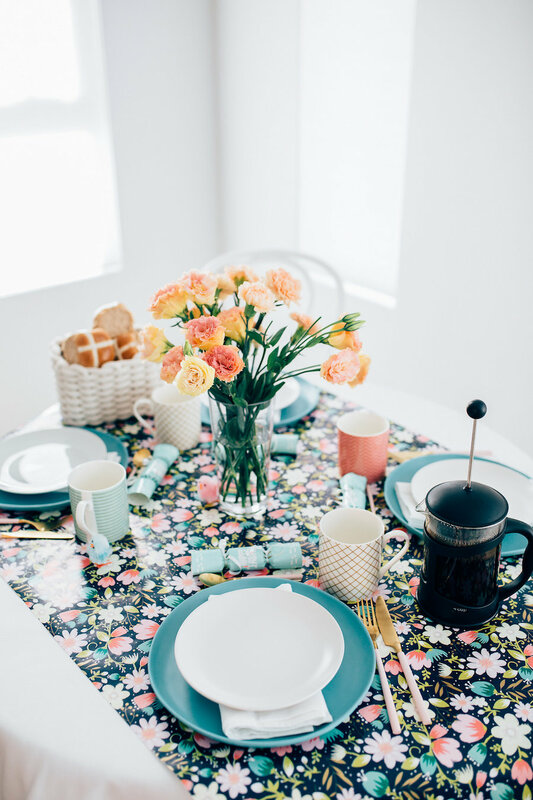 This floral Easter table setting has lots of pops of colour and would be a lovely way to start your Easter. 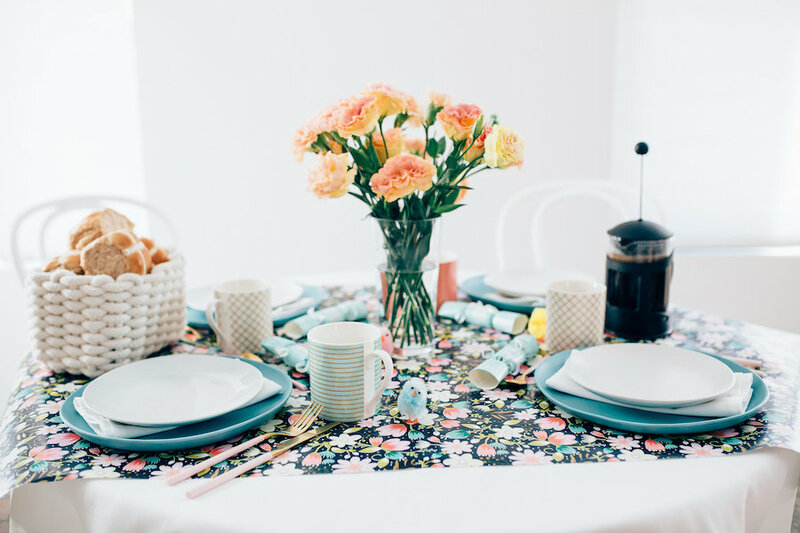 Begin with colouful wrapping paper, which acts as a disposable tablecloth and creates a big statement at very little cost. These blue plates pick up on colours in the wrapping paper and add a big pop of colour, as do the pastel and gold mugs. I placed a white side plate on top and used pink and gold cutlery to finish the place settings. 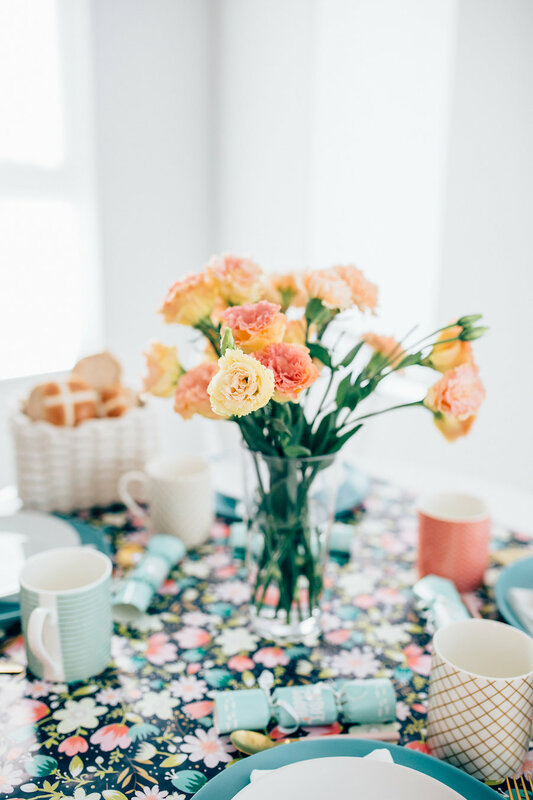 A fresh bunch of pretty flowers is the only centerpiece you need and they can be moved to a sideboard when the food arrives. For a bit of fun, I also added some colourful chicks and Easter crackers on the table. 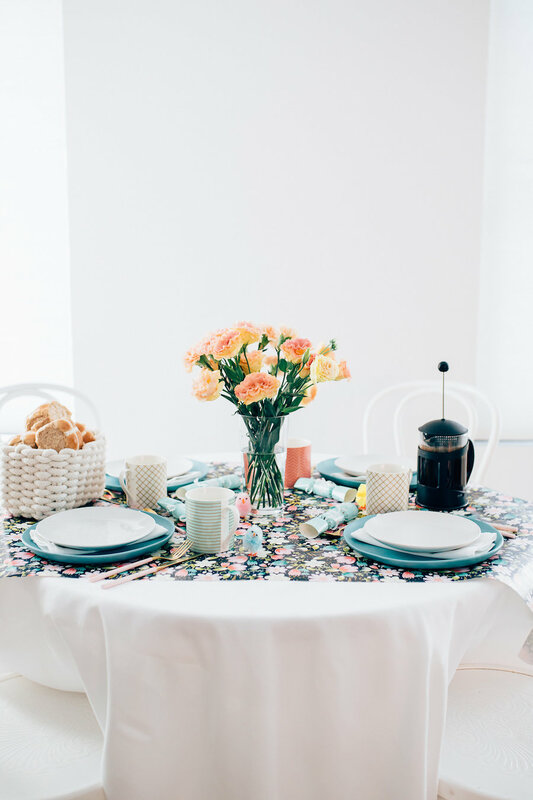 I’m a believer that less is often more and when setting a table, it’s important to leave plenty of space for guests to sit comfortably. 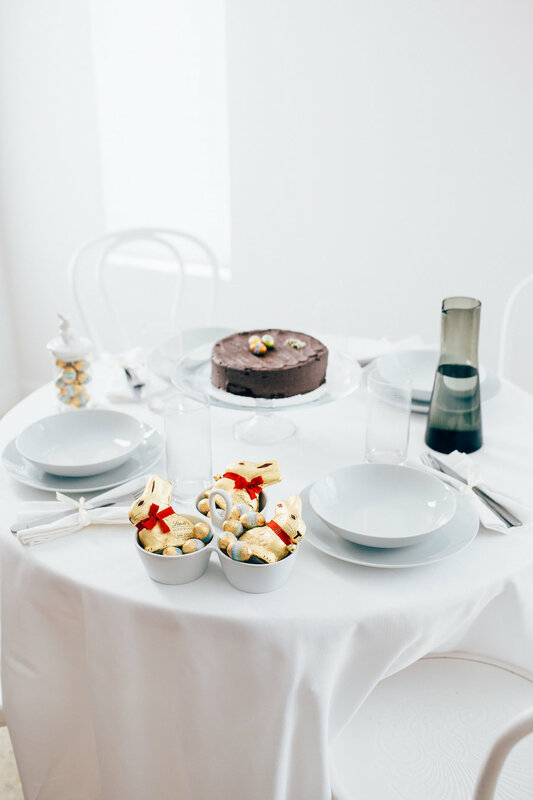 This look is inspired by afternoon tea – enjoying an Easter cake with a fresh pot of coffee or tea. Simple white dinnerware, sleek cutlery and black glassware suit the minimal and contemporary style. I also used a dip bowl with handle to hold a selection of chocolates (all in gold foil to fit the minimal brief). 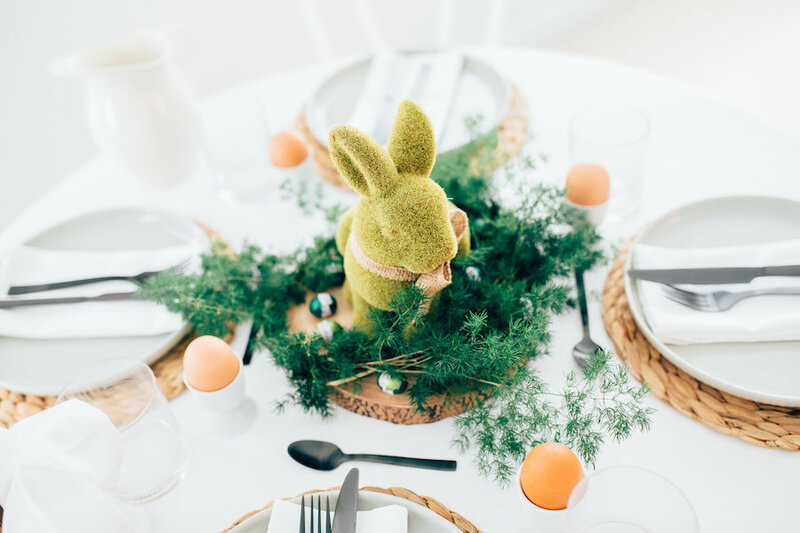 Perhaps one of the most common table settings for Easter is a natural or woodland theme. 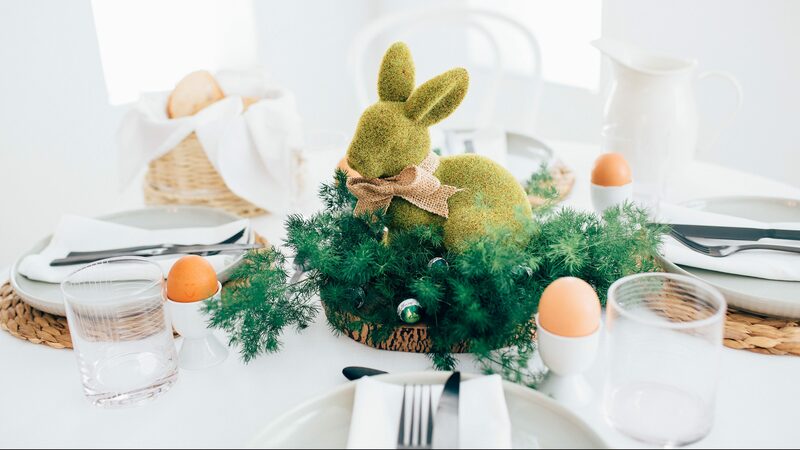 A mossy green bunny (or several) makes a stylish and affordable centerpiece. I placed mine on a wood slice board and made a sweet nest out of fresh branches that I could tuck Easter eggs into. Select crockery and cutlery to suit your theme, like these plates in a muted colour, which I placed on natural placemats. 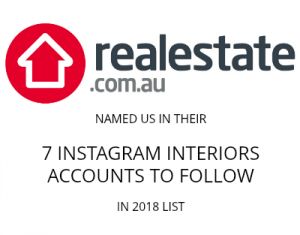 Depending on the size of your table, you could expand on your centerpiece with simple glass vessels with sprigs of branches or herbs, and place more natural elements or candles throughout. 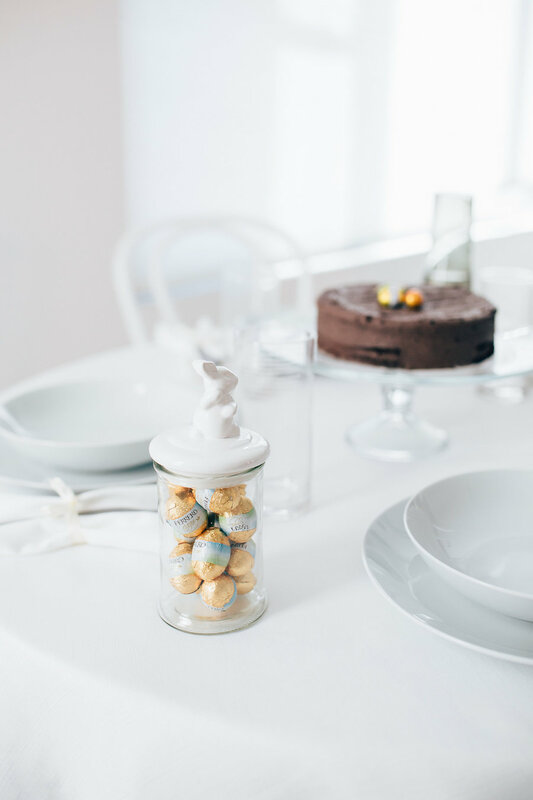 How will you decorate your table this Easter? 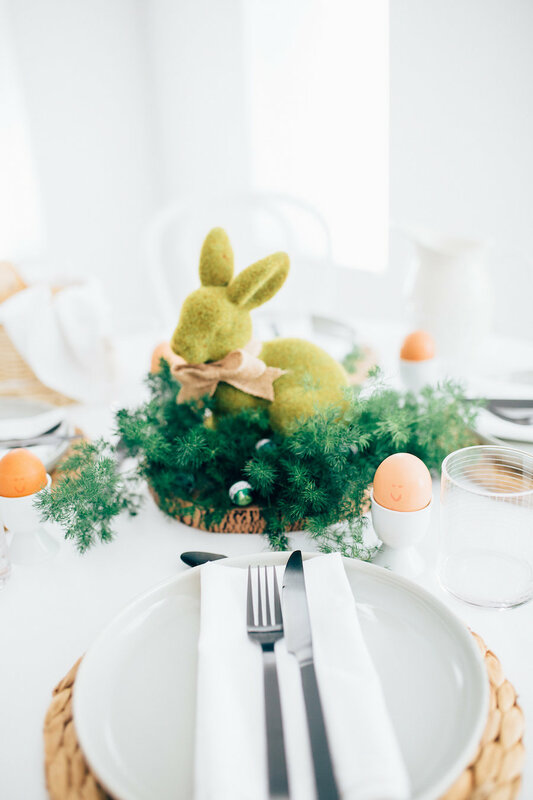 Check out our other recent Easter ideas, including how to style your entry and our ultimate Easter egg hunt guide.